The Rough Collie is easily recognised because of their elegant good looks. 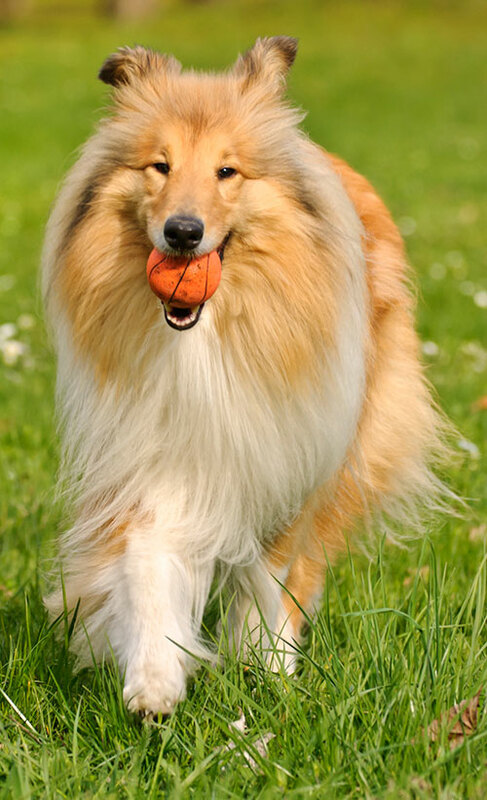 The Rough Collie was made famous by the 'Lassie' films and would make an excellent companion. One of the reasons this member of the collie family is so well known is because of the Lassie films made in the 1940s and 50s, followed by the long-running TV series. Despite Lassie in the films supposedly being female, the canine actors who played Lassie were always male (most famously a dog called Pal). This was to ensure that Lassie would be as large as possible, and also possess the wonderful mane, which is more impressive in the male dogs (a bit like lions). It is thought that the long nose of the Rough Collie may have come from crossing early dogs with the Borzoi. If this is so, it may be why Rough Collies can seem more aloof than other collie breeds. The Rough Collie is a very happy, affectionate dog. They bond well with their families and are particularly good companions for children due to their gentle disposition and readiness to play. The Collie is susceptible to skin complaints, eye problems and oral problems. 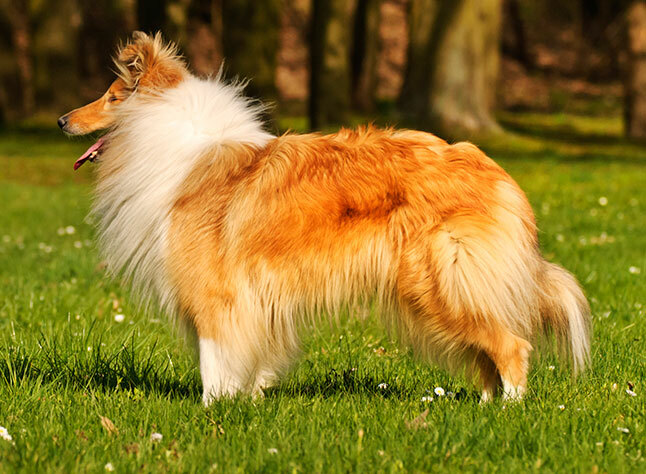 The Rough Collie simply needs regular worming and vaccinations kept up to date.